Spoiler alert. Christianity is the largest religion in the USA, but there's variety in the second largest across the US. What I found most interesting, was South Carolina's second largest religion being Baha'i (followed by my surprise that Judaism was the second most popular religion in Tennessee). Could you have guessed your state's result? March Madness is in full swing, and it feels like everyone (and their mom) has filled a bracket. But how do they do it? More importantly, how do the people that are successful do it? The video, below, highlights the "Bracket Busters" of 2015. So, who were they? A 13-year-old who used a mix of guesswork and preferences, a 47-year-old English woman who used algorithms and data science (despite not knowing the game), and a 70-year-old bookie who had his finger on the pulse of the betting world. Proof that different factors can lead us to believe we have control over something with odds at 1 in 9,223,372,036,854,775,808. For those who don't wanna do the math that's 9.2 quintillion. That's not to say that different factors don't provide an edge. Knowing the history of the teams, their ranks, how they performed historically in the playoffs, all provide important information, to humans and machines that try to make the perfect bracket. The way people fill out their brackets often mimics the way investors pick trades or allocate assets. Some use gut feel, some base their decisions on rank and past performance, and some use predictive models. Just as an FYI, this March Madness, the last perfect bracket busted after just 40 games. This includes reporting on tens of millions of brackets from NCAA.com, Bleacher Report, CBS, ESPN, Fox Sports and Yahoo. I've been going to the gym again ... and a lot of what I see there doesn't look like exercise. But, I can do anything I commit to do. So, I can do that. 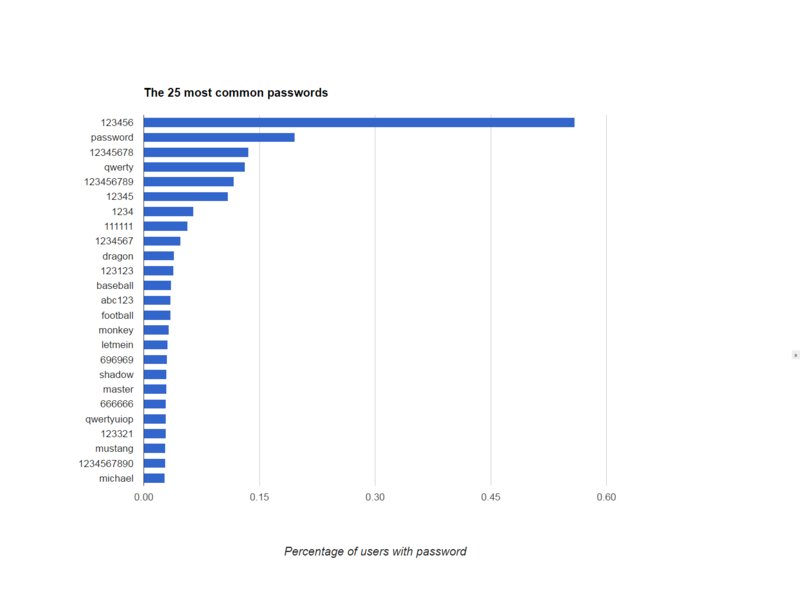 What's The Most Common Password? A week ago, we talked about security (or the lack of it). Is your password up there? Might want to change it. Thinking about security is important, doing something is even more so. Joke plays out in real life. Lawyer's pants catch fire during Florida arson trial. Recently, we talked about billionaires and how they made their money. Today, I want to talk about companies that are valued at over $1 billion dollars. In tech finance, a "Unicorn" is the moniker applied to private startups when they cross the supposedly mythical $1 Billion valuation level. Well, fairy tales are coming true more often. 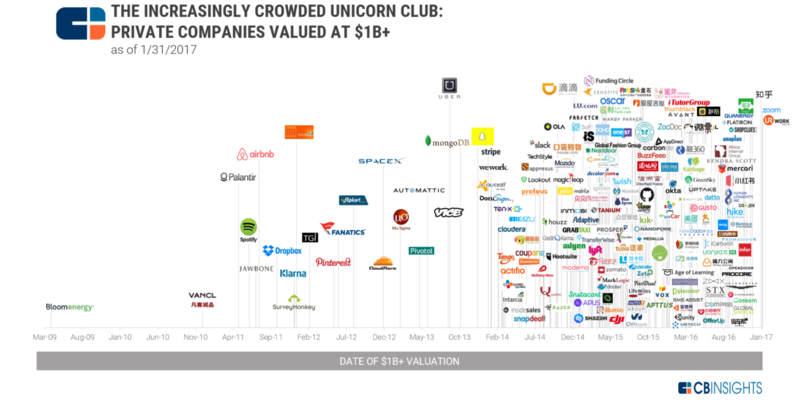 The number of Unicorns doubled in 2015 ... and not just in number – but in value as well. The chart, which only shows the 185 Unicorns that are still private companies, highlights the increasing Unicorn density since 2014. Currently, Uber is the most valuable Unicorn, with a $66 Billion Dollar valuation. Are these companies a sign of a strong market, a bubble, or both? What Do You Really Have to Fear? I recently attended a cybersecurity roundtable with Congressman Pete Sessions. The message was disturbing ... But, you already knew that; didn't you? First, check out this interactive attack map. It's scary ... it shows the attacks happening now, their types, and their targets ... in real time. Perhaps scarier, however, was the discussion on privacy. One of the messages was not to be so worried about privacy ... You don't have any. Your data is already out there; what you need to worry about is whether someone intends to use it. The question isn't whether your data has been compromised, it's whether you've been targeted.